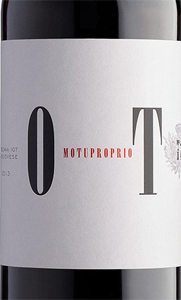 Motuproprio by Tenuta Trerose is the reinterpretation of the 'supertuscan' with the exclusion of the international vines to the advantage of the pure Sangiovese. Born from the union of 3 territories with specific peculiarities: the minerality and freshness of the Chianti Classico, the elegance of Montepulciano and the tannins of Montalcino, gathered in a unique wine. THE WINE Motuproprio by Tenuta Trerose t he first label, le grand vin according to the Bordeaux classification, the highest expression of this Italian-French project. A wine that succeeds in combining strength, intensity and elegance, with soft tannins to give it a roundness in the mouth. It achieved the highest critical acclaim right from the first harvest, the 2004 vintage. A great competition wine according to Christian Le Sommer, winemaker at Les Domaines Baron de Rothschild-Lafite, who created it together with Alessandro Cellai. barriques for about 12 months. A rich red, in which these three varieties blend in to create a great Italian-French wine. THE COMPANY In the beautiful production landscape of Montepulciano Tenuta Trerose, one of the properties of Bertani Domains, has for years been one of the reference wineries for continuity and for the expressiveness of its products. It is a reality that is housed in a magnificent 16th century Tuscan Villa built on the slopes that gently descend from Valiano towards the Val di Chiana and Lake Trasimeno. This is one of the best areas in the area for the production of wines from the oldest of the Italian denominations of origin: the Vino Nobile di Montepulciano. In fact, more than fifty-five hectares of vineyards are destined for the gentle blackthorn, a local synonym for the Sangiovese, here perfect companion for a trip to one of the most beautiful areas of Tuscany. Before 30,00 € tax incl. Tasting Color: garnet red with ruby-orange reflections. Bouquet: complex, notes of ripe fruit and orange, licorice and perfumes of Mediterranean scrub. Taste: great elegance and masterly balance, silky tannins. Motuproprio by Tenuta Trerose the first label, le grand vin according to the Bordeaux classification, the highest expression of this Italian-French project. A wine that succeeds in combining strength, intensity and elegance, with soft tannins to give it a roundness in the mouth. It achieved the highest critical acclaim right from the first harvest, the 2004 vintage. A great competition wine according to Christian Le Sommer, winemaker at Les Domaines Baron de Rothschild-Lafite, who created it together with Alessandro Cellai. barriques for about 12 months. A rich red, in which these three varieties blend in to create a great Italian-French wine. In the beautiful production landscape of Montepulciano Tenuta Trerose, one of the properties of Bertani Domains, has for years been one of the reference wineries for continuity and for the expressiveness of its products. It is a reality that is housed in a magnificent 16th century Tuscan Villa built on the slopes that gently descend from Valiano towards the Val di Chiana and Lake Trasimeno. This is one of the best areas in the area for the production of wines from the oldest of the Italian denominations of origin: the Vino Nobile di Montepulciano. In fact, more than fifty-five hectares of vineyards are destined for the gentle blackthorn, a local synonym for the Sangiovese, here perfect companion for a trip to one of the most beautiful areas of Tuscany.